Born and raised in Taiwan, Chris Lin is a Queens­-based visual artist with over 25 years of teaching experience. He has worked with students of all age groups, newly immigrated Chinese ELL students, and senior citizens. Since 2010, he has been an instructor at the Leroy Neiman Art Center (LNAC). 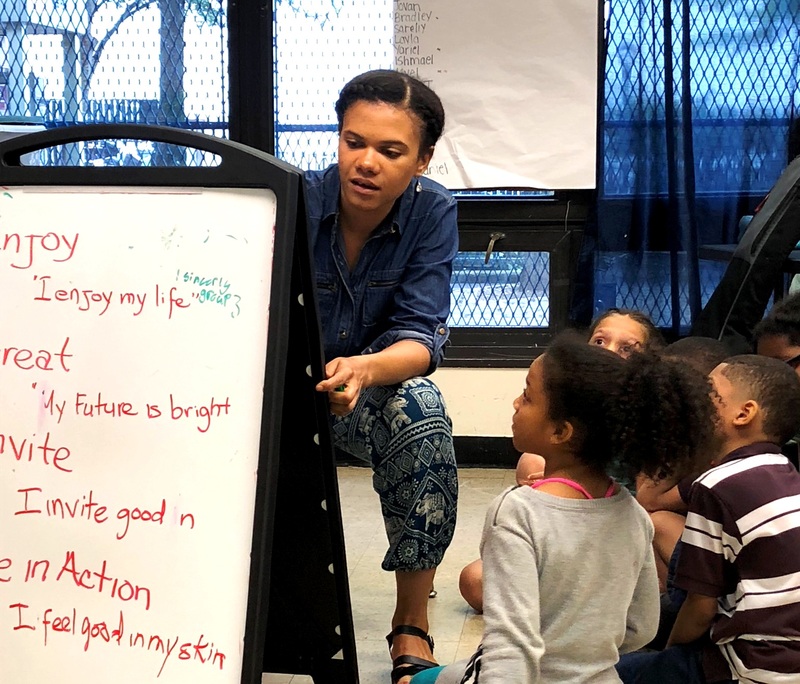 Last month, Chris concluded a series of highly successful Saturday morning visual arts workshops as part of an ESL program for parents and families of elementary school students enrolled at PS 46 in the Bronx. 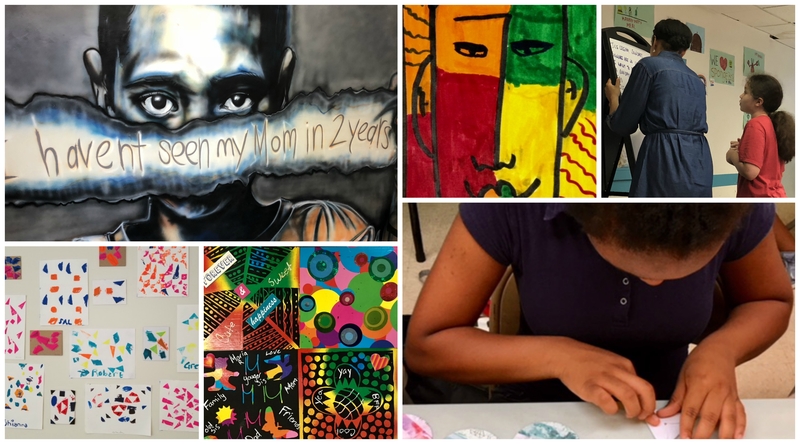 This program was possible through NYCDOE’s “Arts and Family Engagement” grant. 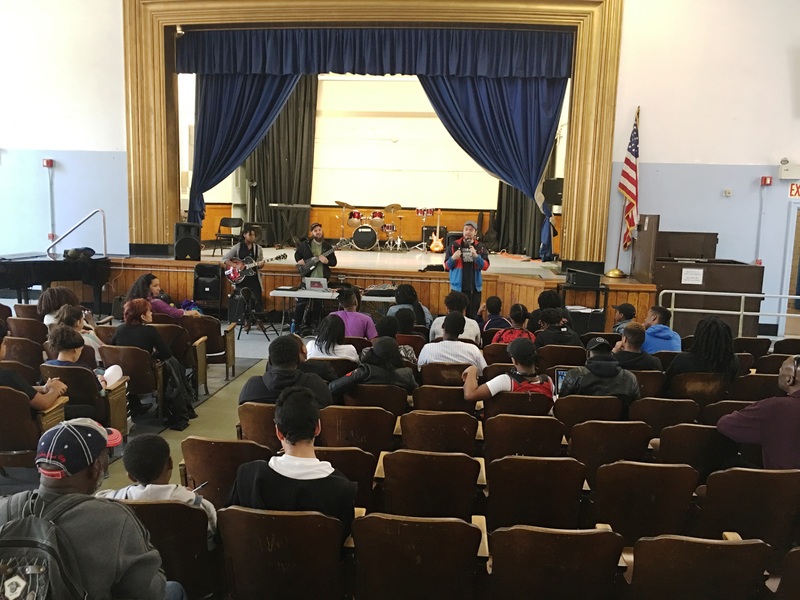 This semester, Arts Horizons is pleased to offer the students of PS 46 a wide variety of arts education programs from AH teaching artists Navida Stein (storytelling), Larry Washington (percussion), Suzi Myers (world dance), Silvana Marquina (dance), and Andy Algire (recorder). We are especially grateful for Principal Jennifer Ade-Alexander, Assistant Principal Roxanna Bello-Sullivan, Assistant Principal Mary Champagne, and all of the faculty for their continued support over the years. We are also eager to continue providing an average of 215 students with music, dance, and theater programming with an average of 10 contact hours per student. 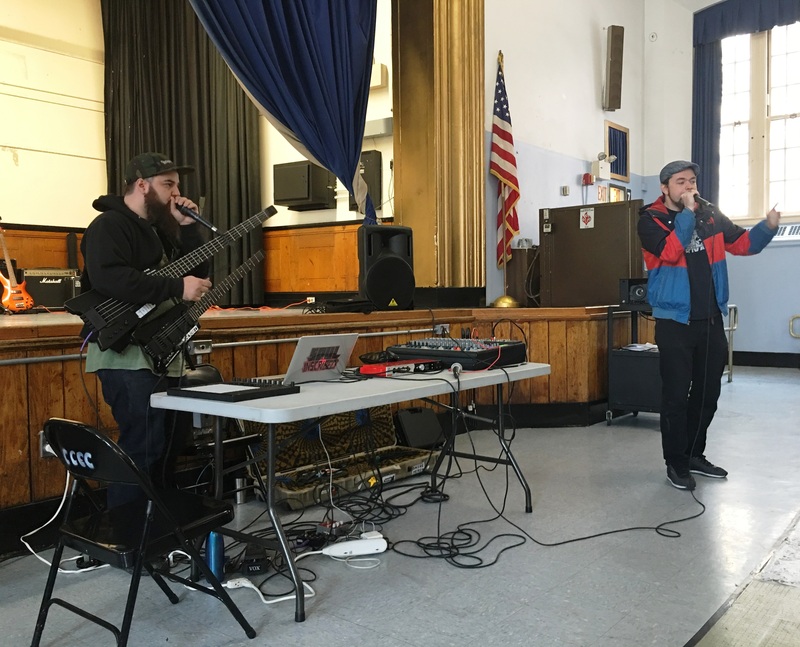 AH Program Coordinator, Kiran Rajagopalan, visited one of Chris’s Saturday morning workshops at PS 46 earlier in February. Let’s take a quick peek! The primary focus of Chris’s residency was on sculptural traditions from around the world. 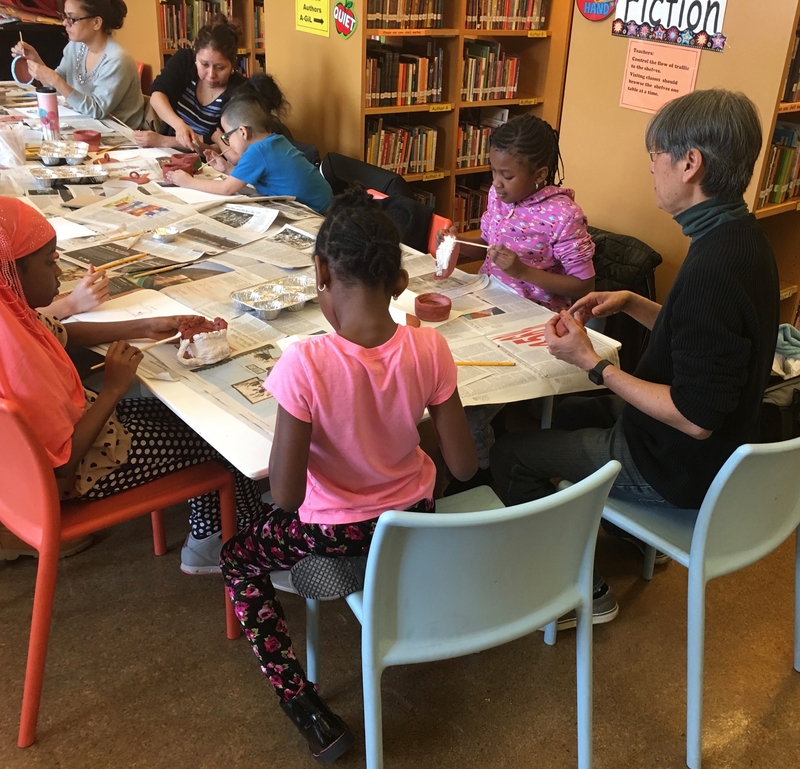 Over five Saturdays, participants created vejigante masks from Puerto Rico, pottery with Mexican motifs, sculptural pop-up books, and animal sculptures commemorating Chinese New Year. The range of materials that participants worked with included: clay, colored cardstock, glitter, and tempera paints. Chris began each session with a brief 10-minute lecture in English on an artistic discipline and introduced specific vocabulary words. Cindy Cabral (ESL teacher) and Karen Ramirez (site coordinator and librarian) then translated his lecture and instructions into Spanish to ensure that communication to all participants was clear. The residency concluded with a formal exhibition of the artwork displayed in PS 46’s state-of-the-art library and an informal reception for the participants and their invited guests. Parents busy at work painting their pottery at PS 46. Feedback from both Karen and the participants has been extremely positive for Chris’s residency. Karen commented that he received “rave reviews” from parents and students, and his workshop “is the best they’ve ever had.” She also revealed that participation started off very small during the first session, but enrollment quickly grew to more than 20 regular participants due to positive word-of-mouth. One parent even went home in the middle of one session to pick up her child to participate in the workshop! Both Chris and Karen are eager to do another family workshop at PS 46, and hopefully this time they can enroll more fathers!